We do the heavy lifting in social media and online marketing, so you can run the business you love. No matter where you are in your entrepreneurial journey, it is crucial to keep learning. Books have been a universal tool for education for hundreds of years, however, they’re not always the most practical or convenient. It’s now possible to learn from proven mentors and leaders who can offer wisdom from experiences that reach beyond our own, provided by technology, in many ways such as podcasts. In full disclosure, I am a podcast junkie. I am a global learner and LOVE to stay current with what is working with other business owners and see if those nuggets can help our clients too. Guy Raz – How I Built This – Guy interviews entrepreneurs, innovators, and executives from all over the world about the companies they’ve built and the stories behind their success. Recent interviews include Bobbie Brown of Bobbie Brown Cosmetics; founders of The Knot, Carley Roney & David Liu; and Angie Hicks of Angie’s List. Barbara Corcoran – Business Unusual – Barbara is a businesswoman, investor, speaker, author, and TV personality on Shark Tank. Her stories of triumphs and pitfalls that have defined her success are entertaining while educational. Lewis Howes – School of Greatness — Lewis shares inspiring stories from the most brilliant business minds, world-class athletes, and influential celebrities to help you find out what makes great people great. Gary Vaynerchuk – The GaryVee Audio Experience — Gary is an entrepreneur, author, speaker, and is best known for his work in digital marketing and social media. He shares a mix of keynote speeches on marketing and business, interviews, fireside chats, and any new and current thoughts recorded specifically for this audio experience. Guy Raz – TED Radio Hour — Guy explores the emotions, insights, and discoveries that make us human while applying fresh approaches to new problems and new ways to think and create. John Lee Dumas – Entrepreneurs on Fire — JLD’s goal is to deliver inspiration and strategies you need to fire up your entrepreneurial journey and create the life you’ve always dreamed of. Seth Godin – Akimbo — Seth is an author, entrepreneur, marketer, and public speaker. Akimbo is a posture of strength and possibility. The chance to make a difference, to bend the culture. Donald Miller – StoryBrand – Donald Miller interviews business owners who have excelled in their field. Donald also shares how each of these business experts shares their story and become the guide to each specific audience. Social Media Marketing Podcast – Social Media Examiner. — As a team, we are always staying current on new online and social media marketing trends. Michael Stelzner interviews experts on current trends and shows immediate application for the DIY marketer or the full marketing agency. Entreleadership Podcast –Ramsey Solutions — The foundation of Dave Ramsey’s Entreleadership book (excellent read) is partnered with business leaders in many of the leading companies in the world with practical advice for the small business owner. Engaging, most are free and easily accessible, and you can listen to them on the go, podcasts are taking mobile education to the next level. If you’re in the car? Podcast. If you’re at the store? Podcast. There’s a lot of options to choose from on just business topics alone, and the best ones suggest actionable ideas on how to experience more success, grow your business, and excel in your career. As you explore podcasts, try to find shows that entertain you, while keeping you engaged and focused. Ultimately, listening to a podcast should improve your entrepreneurial mindset. Comment below on some of your favorite podcasts. I would love to know what you are listening to also! Want to set up an appointment to talk with Angel or her Assistant Angel team? You can contact us here! 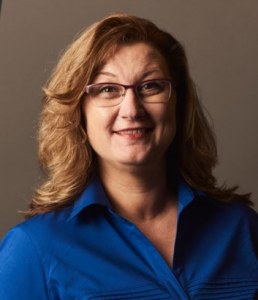 Angel Lebak is the owner of Assistant Angel – Digital and Social Media Managers. Assistant Angel is a virtual marketing team serving clients worldwide since 2009. 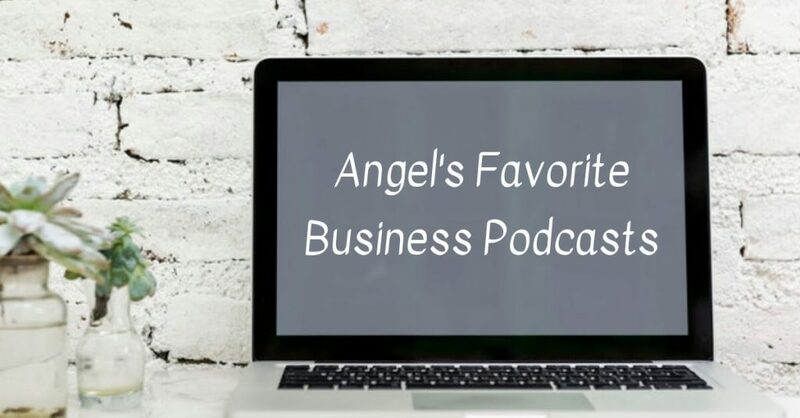 Angel’s passion for small business AND the admin/marketers who serve them, is seen in her latest venture: Business Marketing Angels. This monthly membership allows business owners and their admin/marketing team member to get monthly topic training and weekly support for marketing questions they may have. Angel also offers Marketing Coaching and Consulting for companies on their current online marketing trends. Angel’s reputation precedes her and she is one of the rising voices in the admin and marketing arena. Feel free to contact Angel and her team of marketing ninjas here. Assistant Angel is a Social Media and Digital Marketing Company offering personalized service for small to medium size businesses. We serve clients throughout the United States.